Turnbull Restoration & Manufacturing is proud to support the Ontario County Republican Committee for the second year in a row, with the donation of a Turnbull Heritage 1911. 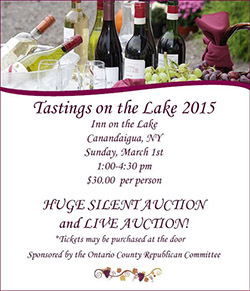 The 15th annual “Tastings on the Lake” event at the Inn on the Lake will be held on March 1st, 2015 from 1:00-4:30 PM and includes Finger Lakes wineries, microbrews, distilleries, exotic teas, organic juices, gourmet cheeses, Hor D’Oevres, cheesecake samplings and huge silent and live auctions. 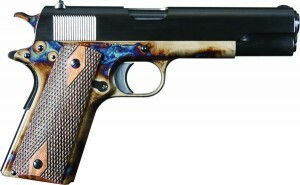 Turnbull’s contribution is a Turnbull manufactured Heritage Edition Model 1911. 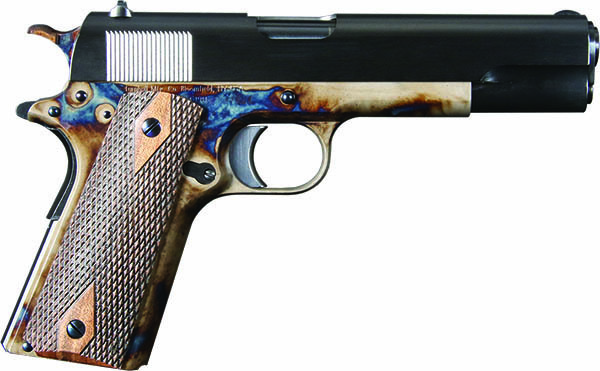 The Heritage is an accurate reproduction of the iconic 1911 pistols built during WWI. The pistol is hand built, and polished prior to our signature finishes being applied, using only components made in the U.S.A. Tickets may be purchased at the door.